All the roads in our country are completely filled with unexpected obstacles and it becomes very important to keep an eye on every pothole to stay away from any possible dangerous accidents. We are always; try to fit in a maximum amount of things into a limited amount of space. This adds on the difficulty to commute through the very busy streets of any city in our country. Every commuter is always loaded with a number of responsibilities and accomplishing them at once becomes very difficult since we all are always running by the clock. 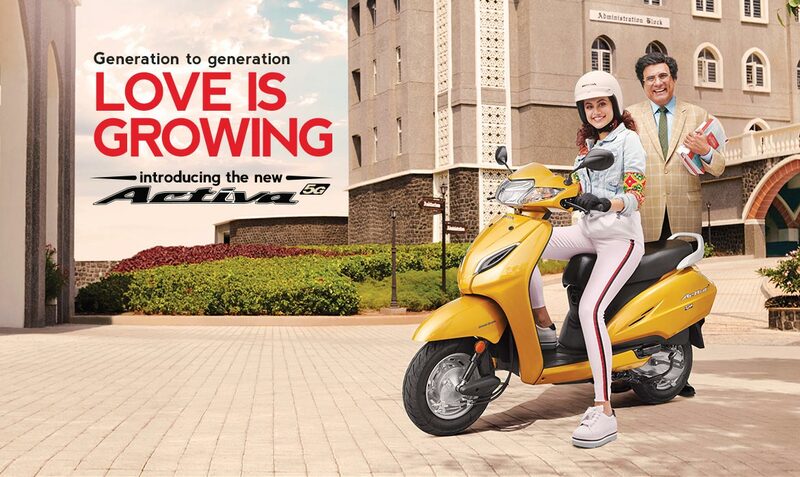 With a close study and an extensive market survey, Honda introduced an exclusive addition to its Activa family, the Activa 5G which is well equipped to face all the problems faced by every average Indian commuter. The all new Activa 5G is the perfect partner for all your adventurous endeavors especially when you are bound by limited time. The intelligent addition done to the super advanced Activa 5G makes your whole riding experience a special one. The ultra-modern LED headlamp and position lamp offer you complete visibility on difficult terrains especially while you are traveling through the night. The digital-analog meter with eco speed indicator helps you manage your fuel levels efficiently and gives you all necessary insights of your Activa 5G. The four-in-one lock facility brings complete convenience to your fingertips. The service due indicator reminds you about your next servicing on a timely basis. The metal fuel body proves to be the ultimate confidence booster while you are traveling through some dangerous terrains. The all-new Activa 5G is equipped with CBS with equalizer, to give you an excellent braking performance. The Honda Eco Technology (HET) amplifies the overall driving performance. However, all these features are just a form of brief information to you. All you would care is a perfect journey through the beautiful terrains and that’s what the all-new Activa 5G is all about. The Activa 5G is not just any commuter it’s a perfect experience amplifier. So, what are you waiting for come experience a highly daunting adventure with the all-new Activa 5G today!